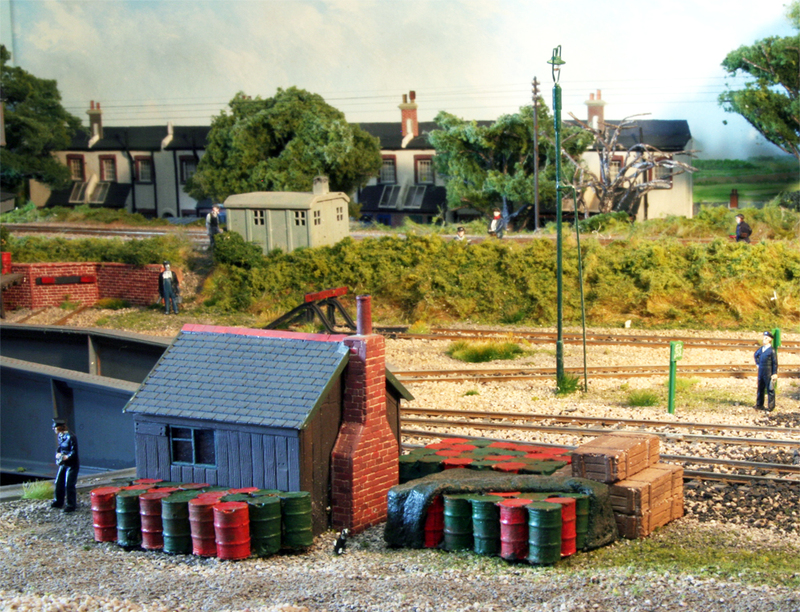 Adams A12 Jubilee class, built from a Nu-Cast kit, is turned at Fisheton Sarum with a Drummond M7 in the background. For those of us as either members and, like myself, shareholders of the 35006 Locomotive Society yesterday 16th May 2016, was a very special day. Following restoration from an ex Barry condition, at the Gloucestershire Warwickshire Steam Railway, that has taken over 30 years Bulleid Merchant Navy Pacific 35006 Peninsular & Oriental S. N. Co. (the longest name of any locomotive in preservation) was officially renamed and hauled her first passenger train for over 50 years comprising of members and shareholders of the 35006 Locomotive Society along with a small number of invited honoured guests. 35006 was withdrawn in her prime in August 1964, before languishing in the infamous Dia Woodham Barry scrapyard for over 18 years. A small band of dedicated early pioneers of the 35006 Locomotive Society managed to scrape together the purchase price of just over £7000 which resulted in 35006 finally leaving for Toddington on the Gloucestershire Warwickshire Steam Railway in March 1983. Over 30 years of dedication, hard work and fundraising by members of the growing 35006 Locomotive Society finally saw 35006 steam again, albeit on 2 cylinders, on 10th August 2015. Following completion of the final list of works required, further steaming and running in, the date was set for her renaming and first passenger run on Monday 16th May 2016. 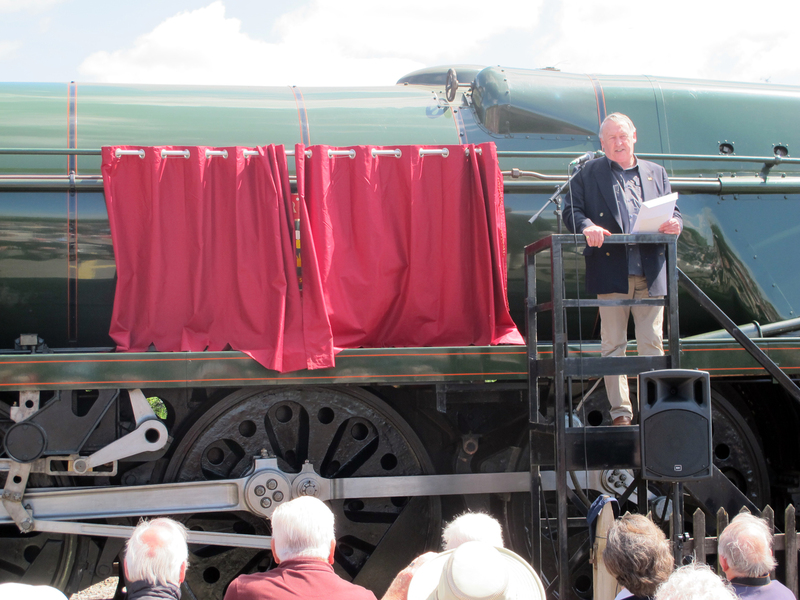 Bill described to the audience those early days of making the necessary small but important steps of raising the initial funds to both purchase and secure a base for and moving 35006 to Toddington and therefore reaching where the Society is at today. 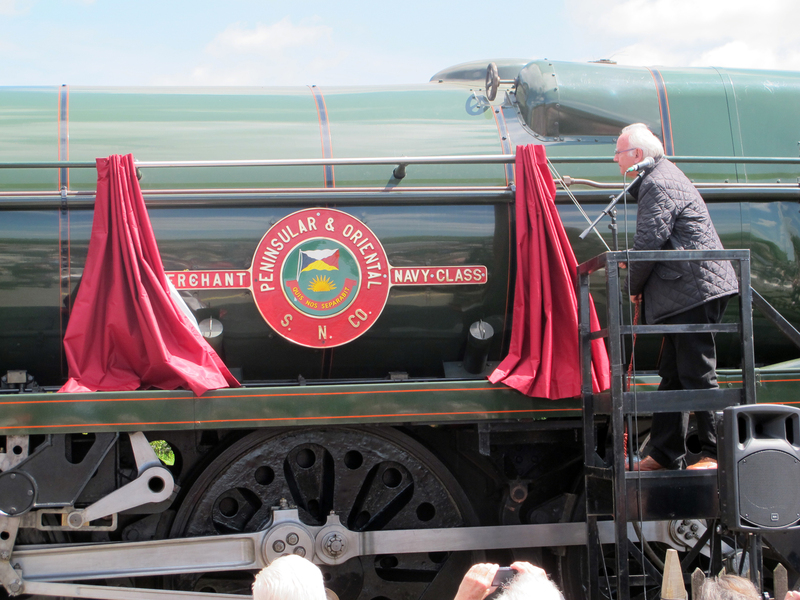 Pete Waterman unveils the nameplate of Peninsular & Oriental S. N. Co. The final speaker before Pete Waterman unveiled the nameplate was former Southern Region Fireman, David Brown who was based at Yeovil. David described how, as a 18 year old, he fired 35006, in August 1964 on the night mail coming off the train at Salisbury before going onto shed, 35006 was unusual in that she spent her entire career at Salisbury 72B shed, to be told that she was now to be withdrawn and he had just fired her final turn in service. 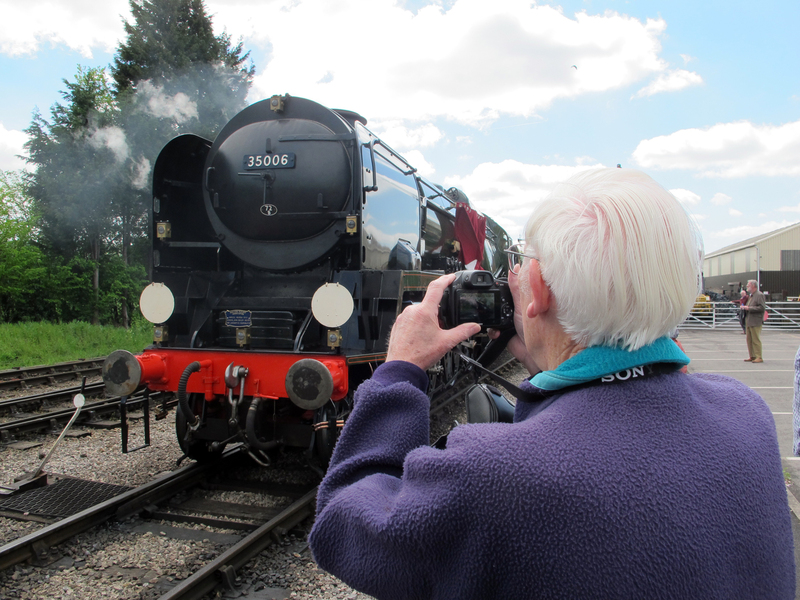 David was then invited to be on the footplate, along with Pete Waterman on the first run of the day. 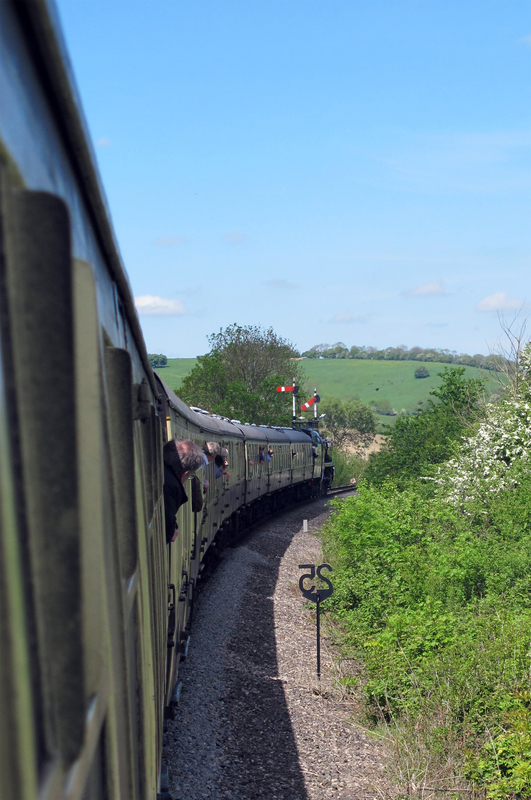 35006 then completed two runs between Toddington and Cheltenham Racecourse with an impressive twelve coach rake (unfortunately not in Southern Region green but you cant have everything! 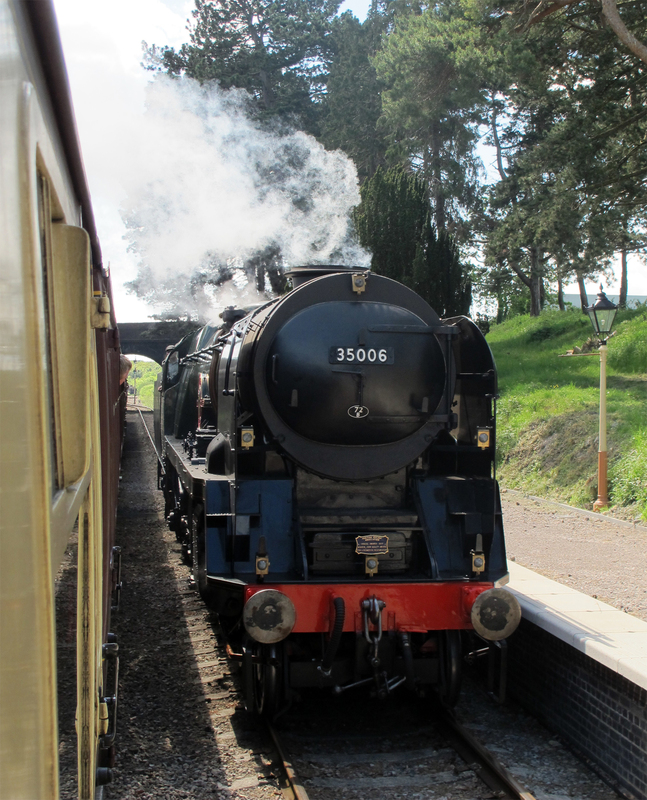 ), not often seen on the Gloucestershire Warwickshire Steam Railway as they usually only run seven coach trains, which she handled with ease. A very nice complimentary lunch was served on board the first run, which was quite an achievement in itself by the catering team from the Flag and Whistle franchised café run by Lynne Tidddy and her enthusiastic team. 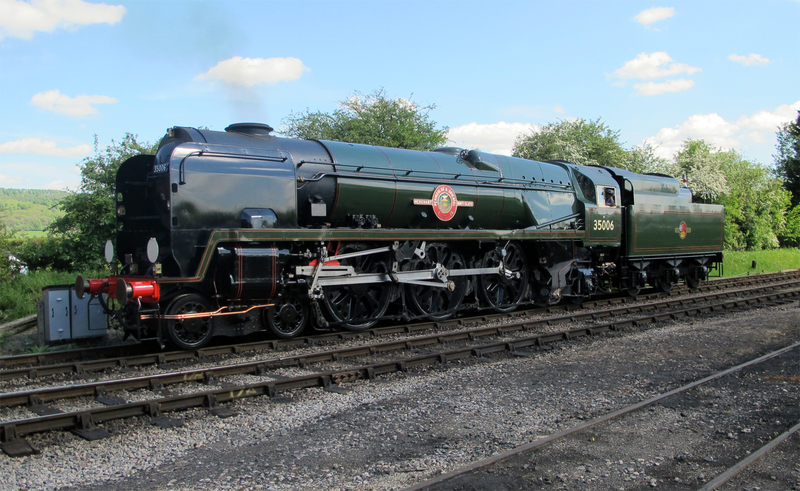 It was certainly a fantastic day, the sun shone, 35006 looked, performed and sounded great. 35006 also carried a small plaque on the middle bufferbeam lamp bracket to mark the Society having received, earlier this year, the Heritage Railway Association’s John Coiley Award for the restoration of 35006. 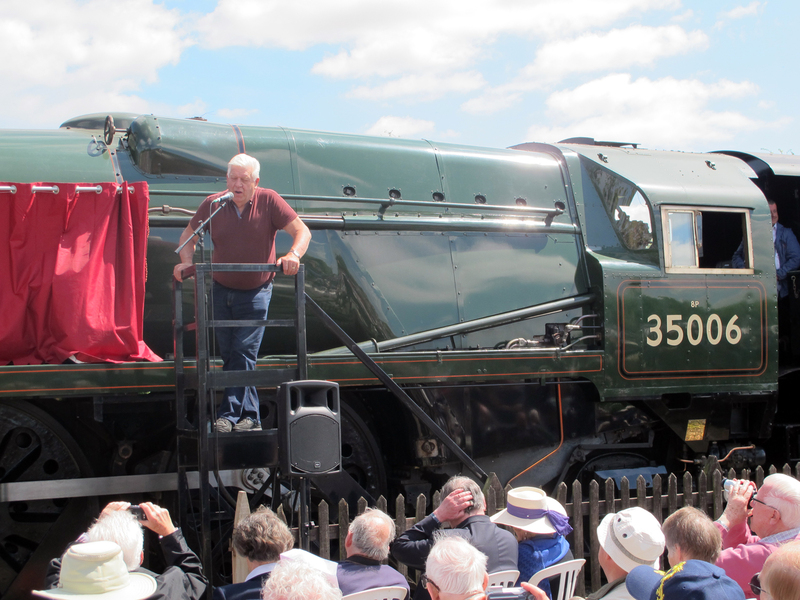 The 35006 Locomotive Society should be duly proud of their achievement in all aspects of the restoration, fundraising and also the organisation of the day itself. I would like to take this opportunity thank the 35006 Locomotive Society on behalf of all its members and shareholders for such a great day. A further note of thanks should be made for the wonderful complimentary full colour commemoration booklet charting the three decades of restoration. 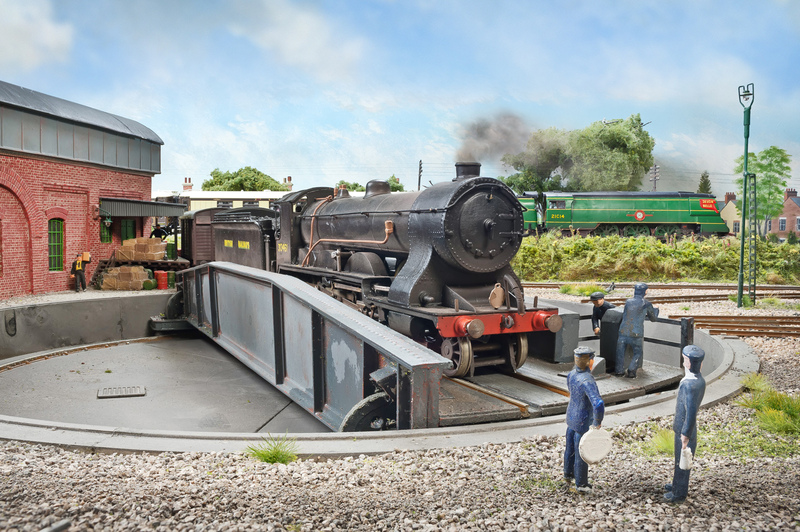 If reading about this achievement has, and I hope so, made you feel like you would like to be a part of keeping 35006 in steam, then information on how to join the Society can be found here. 35006 will be making her first appearance hauling trains for the public at the Cotswold Festival of Steam on the Gloucestershire Warwickshire Steam Railway over the May 28th to 30th Bank Holiday weekend.